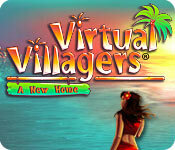 Virtual Villagers: A New Home is rated 3.6 out of 5 by 26. Rated 5 out of 5 by Legypt from Very cute time waster This game is super cute and fun, and a good time waster! It only needs to be checked occasionally once you get the food part going, so it's a decent one to mess around with at work or at home while working on something else. This game will not work for you if you're looking for a game to sit and play for an extended amount of time. That said, the puzzles are fun to figure out, and the story is cute. ONE thing I have about the game is having babies. It's kind of creepy. You drag villagers on top of each other to try to entice them into 'breeding'. They will often say no and RUN AWAY, but, you have to persist and keep dragging them back on top of each other, or, find new partners that may mesh better and need less 'encouragement' to breed with each other. It's unsettling, dragging running people back for more breeding, but if you don't keep it up, you won't have a sustainable population. Once you get farther in the game though and increase your fertility, it's not as much of a problem, it takes less tries to make a baby and you have more villagers to choose from, to try to find two who are compatible. Rated 5 out of 5 by VvFanForever from Awesome Game ! 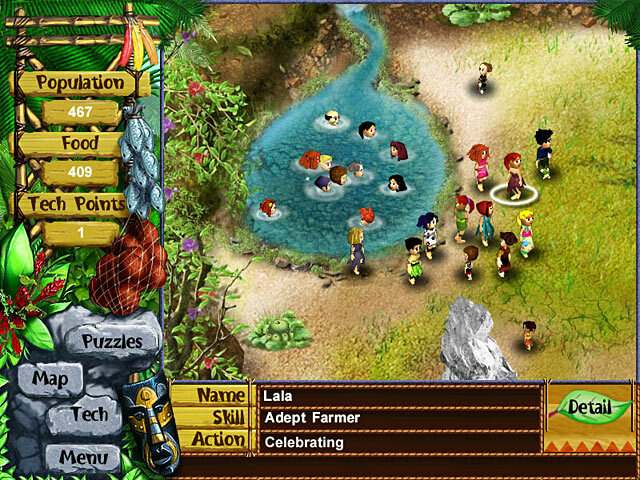 Virtual Villagers is an amazing game ! I started playing when I was around nine, and now if I see a an add saying a download is available , I just do it ! Its the perfect game for people who like to strategize ! Rated 5 out of 5 by adrienne6428 from addictive Once you play this game you will want the series. You will fall in love with all the charecters that you get to name and watch grow. Rated 5 out of 5 by SummerSkyeSloane from This is AN APPEALING GAME: Another Winner from the LDW Developers! Virtual Villagers is a WONDERFUL game. I was not sure I wanted to play a "tribal" game but it's truly exciting! The instructions are explained well in a short tutorial and then the player is left on his/her own to solve the mysteries from some visual or textual clues. I enjoyed taking my time figuring out how to enable the islanders to survive and thrive [after fleeing their previous volcanic island]. I like this first game of the VV series so much that I went to Big Fish and bought the ensuing four sequels ... because I think I will love to play them too. KUDOS to LDW for creating their charming and fun games! PS. Once the islanders got busy, I liked turning off the music and just listening to sounds of the ocean & splashes, the building taking place, children giggling, lovers kissing, babies cooing, apprentices sighing "no", etc. 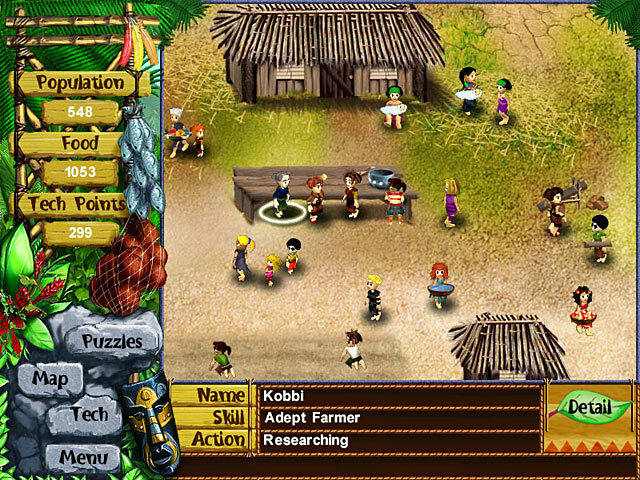 Rated 5 out of 5 by mach37 from Virtual Villagers Lineage I personally enjoyed this game, this game (The First of its series) is the game that introduced me into Virtual Villagers. I loved the look of it, and I would recommend this game. The puzzles are extremely challenging, and this game runs itself! If you have loads of free time, then this is the PERFECT game for you. Rated 5 out of 5 by swampie from Hooked On This Game Don't know why I waited until now to try this game. Love my little villagers and enjoy each of their accomplishments. 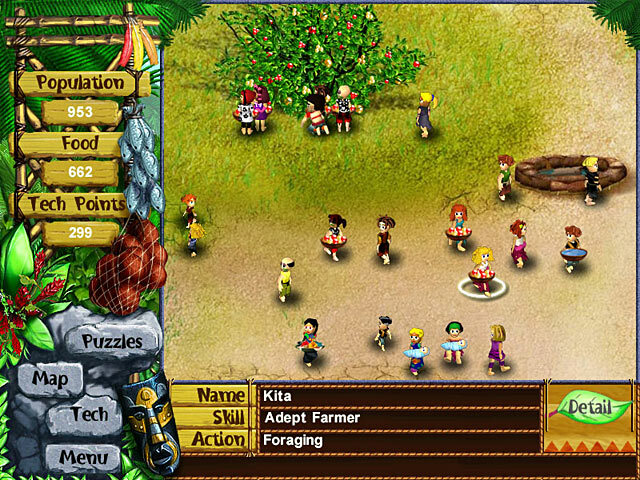 I will purchase and play the entire VIRTUAL VILLAGERS series. Rated 5 out of 5 by Andrew_4E2012 from WOW An amazing collecteble and puzzle game.The Best Strategy game! Rated 5 out of 5 by Sanna_62 from I still enjoy playing it !!!!! From the beginning on i loved this game, and playd it 1 and half day the first time and finishd it a month lather. I was hooked and have now all of the Virtual Viilagers games. And hope that there wil a new one coming out.